You are currently browsing the tag archive for the ‘Blount County Beekeepers Association’ tag. The regular meeting of the Blount County Beekeepers Association will be on Monday, July 13, at 6:30 p.m. at the Blount County public library. The main topic on the program will be mead and how to make it out of your honey. 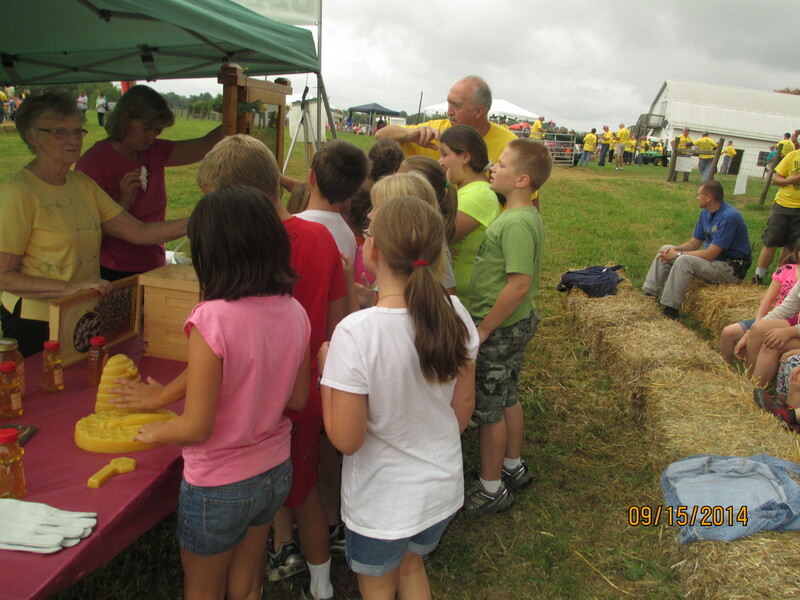 In addition, beekeepers can bring a sample of honey to have it tested for moisture content. Howard Kerr, a BCBA member and veteran beekeeper, will bring the testing equipment and has offered to test the honey of anyone who brings recently extracted honey to the meeting. We’ll also have some information about how the CSX train derailment and evacuation has affected Blount County beekeepers. 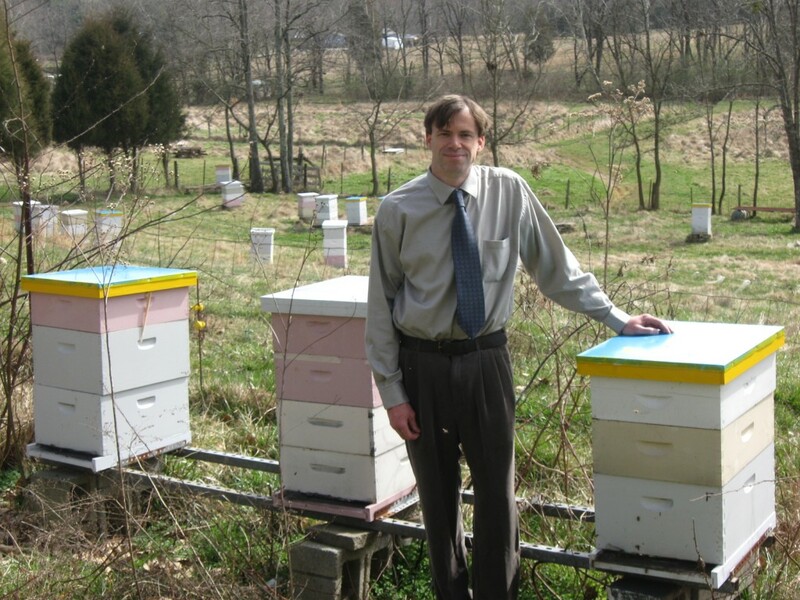 The Blount County Beekeepers Association’s March meeting will cover the practical topics of supering (putting boxes on your hives) and installing packages of bees. The meeting will be Monday, March 9, at 6:30 – 8:30 p.m. at the Blount County Library. Bill Manuel will lead the discussion on supering, and Bob Landers will demonstrate the proper way to install a package of bees. 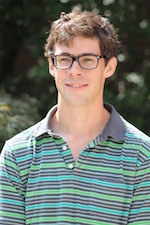 Luke Newman will talk about seasonal management. If you have questions about what your bees are doing this time of year, the next BCBA meeting would be a great place to get some answers. As always, our meetings are free and open to the public. Invite a friend to come along with you. Even if the friend isn’t interested in becoming a beekeeper, we always have lively, friendly discussions about what we should be doing with our bees. The November meeting of the Blount County Beekeepers Association will feature the topics of overwintering bees and bee health. We’ll be hearing presentations from University of Tennessee researchers Michael Wilson, who will discuss proper overwintering practices for beekeepers, and Phillip Moore, who will talk about how to protect the health of your bees. John McDade will present the seasonal management portion of the program. The meeting, which will be on Monday, November 10, at 6:30 p.m. in the Blount County Library. Michael and Phillip are on the research staff of UT’s Entomology and Plant Pathology Department and work closely with Dr. John Skinner, the state apiculturalist. This will be an informative session you won’t want to miss. As always, our meetings are free and open to the public. Invite a friend to come along with you. Even if the friend isn’t interested in becoming a beekeeper, we always have lively, friendly discussions about our bees. The annual auction of the last night raised $1,514.50 for our grants and scholarships fund. 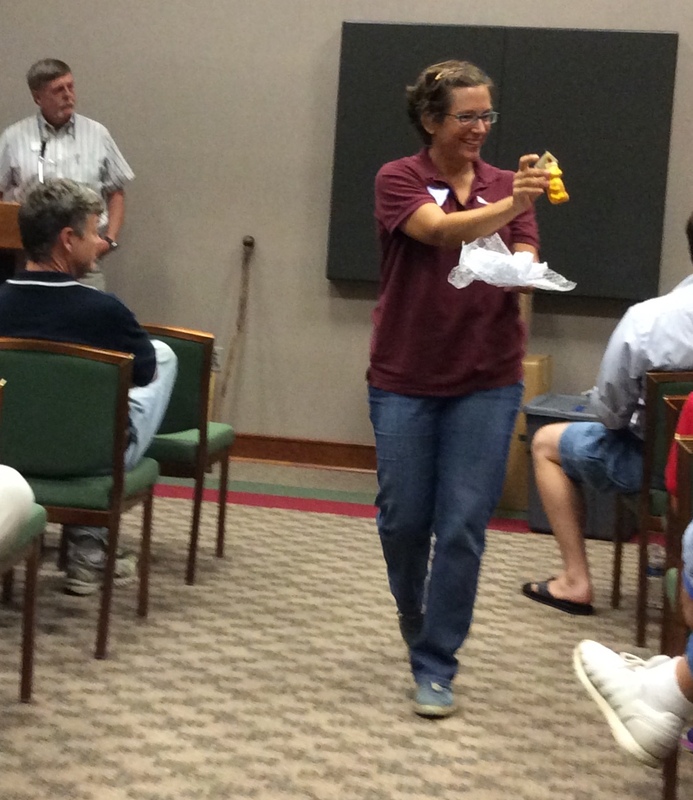 Maggie McDade shows off one of the items for sale during the annual BCBA auction at the October meeting. Members and friends of the BCBA contributed dozens of items, mostly bee related but some not, to the auction, and we had a grand time in seeing them go up for bits. Several members expressed appreciation to those who contributed and to all who made bids. 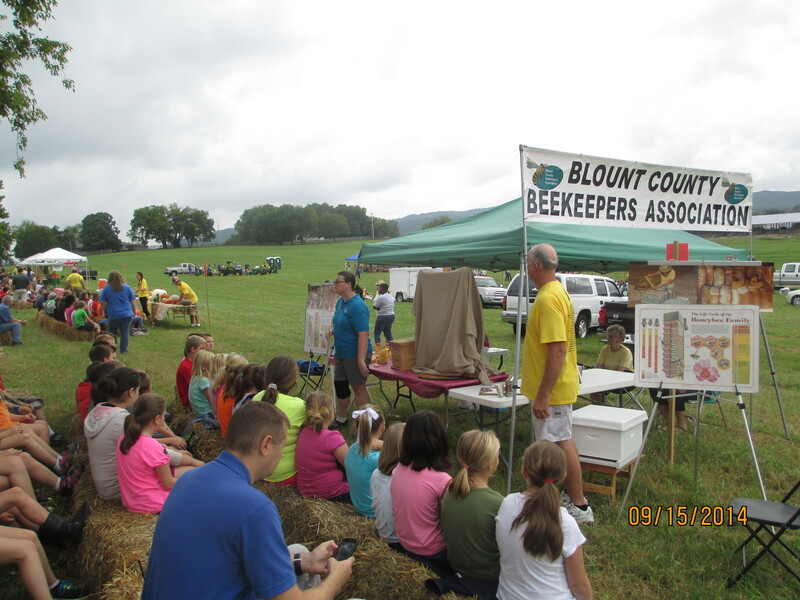 The annual auction will be the main event for the October meeting of the Blount County Beekeepers Association. The meeting, which will be on Monday, October 13, at 6:30 p.m. in the Blount County Library. The money from the auction goes to support the grants the BCBA gives to those who want to begin beekeeping or who have good ideas for promoting beekeeping in this area of East Tennessee. In years past members have been generous in donating items for the auction, and we are looking forward to the same for this year. Items do not necessarily have to be bee-related, but they should be new or in very good shape. We are also likely to have items donated from a number of bee suppliers. So, bring what you have, and then get ready to bid on what you want. It’s always a fun time for everyone. 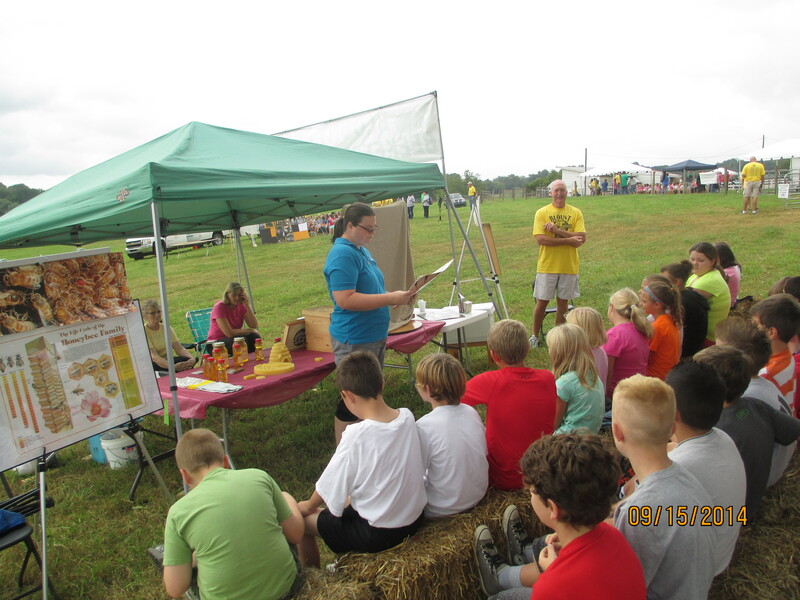 More than 850 Blount County students and teachers saw first-hand what beekeeping is like during the Blount Farm Tour earlier this month. That exposure to bees came through the efforts of Blount County Beekeepers Association members Harlen Breeden, Pat Breeden, Darlene Parton and Charlie Parton. They were helped by UT grad student Heather Lowry, who is an assistant to Dr. John Skinner.